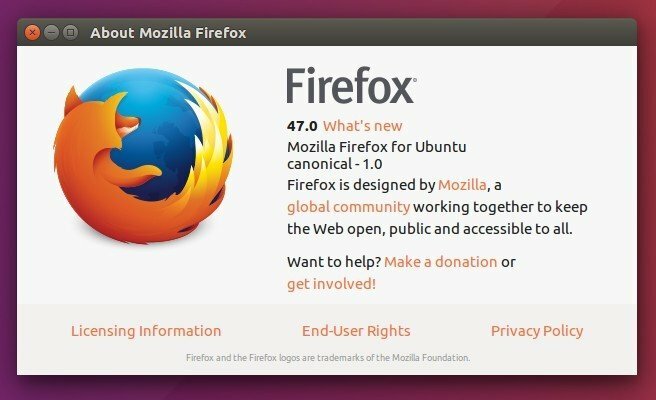 Mozilla Firefox web browser has recently reached the 47.0 release, available for upgrade in Ubuntu 16.04, Ubuntu 14.04, Ubuntu 12.04, and Ubuntu 15.10. Support for Google’s Widevine CDM on Windows and Mac OS X. 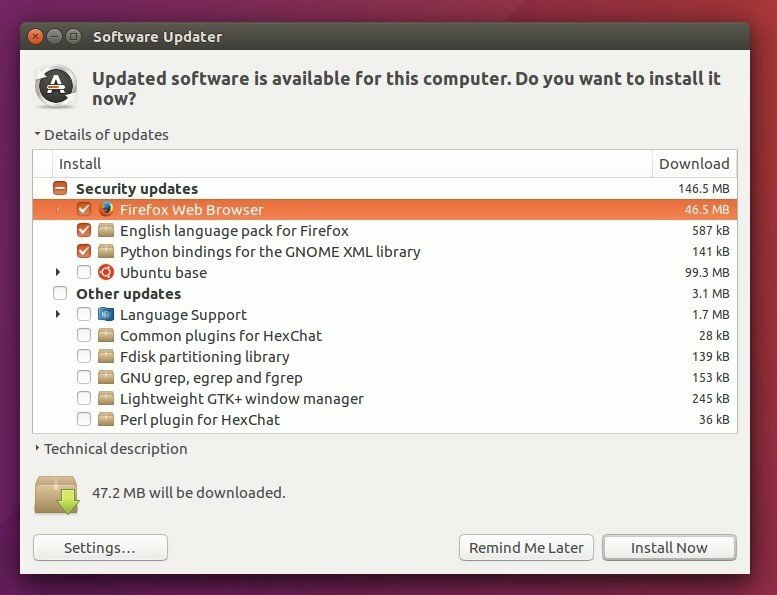 The new release also brings various security fixes, removes the Firefox User Extension Library and click-to-activate plugin whitelist. See the Firefox 47.0 release note for details. Don’t see it? Go to System Settings -> Software & Updates -> Updates and make sure the first two check-boxes are checked under “Install updates from”.